Increasing numbers of pupils are being excluded from schools – with special education needs (SEN) being over six times more likely to be excluded. I have written previously about the 16,000+ bullied school children that are school phobic and who are pushed outside the mainstream education system, but the issue is broader – affecting pupils with a range of challenges, including; mental health (50% of mental health issues are established at the age of 14), SEN, poverty, home environment and personal trauma to name but a few. To be clear, I support schools having the right to expel unruly children. Disruptive children in class can absorb ten minutes of every teaching hour. However, there is a growing evidence base that exclusions are being used in some schools for all the wrong reasons and casting pupils into the Alternative Provision (AP) sector, which has little oversight and patchy academic results (only 1.1% of pupils in Alternative Provision secure five good GCSE passes). Fixed term exclusions have risen to 381,865 – an increase of 114,345 since 2012 – with at times a limited paper trail of decision making (16% of the time, the reason is left as ‘other’!). The Children’s Commissioner Report of 2017 flagged specific concerns over the use of exclusions and reported breaches of the UNCRC. The call for action is not new, in 2010, Barnardo’s report ‘Not present and not correct’ hi-lighted concerns over the use of fixed-term exclusions and evidence of unofficial exclusions. The cost to society of exclusion is high, the IPPR estimates this to be £370k per young person in a lifetime due to education, benefits, healthcare and criminal justice costs. Exclusions are not capturing just the knife wielding bullies, but a wider group, for instance every school week 4,610 SEN pupils receive permanent and fixed term exclusions. One pressure point could be that some schools cannot cope with complex pupils’ needs. The ‘Teacher Omnibus’ survey found that 18% of teachers do not feel able to meet the needs of a child with SEN with 30% stating that there is insufficient training provided to support SEN students. For parents to fight an exclusion the odds are stacked against them, many not knowing their rights or being able to respond to the complex process involved. The safety net of the Independent Review Panel does not have the power to reinstate a pupil. When a child is excluded, the school can effectively and neatly wash their hands of responsibility, which passes to the Local Authority. Another route out of the education system is known as ‘off-rolling’. Officially parents must formally request to home educate their child. Although the reality can be somewhat different. It is now estimated that over 45,000 children are being home schooled, a near doubling compared to five years ago. We heard reports of non-attending bullied children’s parents being threatened with truancy action and given the option to home educate. Shouldn’t Ofsted inspections show what is happening? According to the latest National Audit Office report, 1,620 ‘Outstanding’ schools have not been inspected for over six years, of which 296 have not be inspected for over 10 years. This lack of transparency provides for the opportunity of opaque decision making. Alternative Provision is an umbrella term to include; state AP, independent AP, third sector provision and work base learning providers. When schools exclude, responsibility passes to the Local Authority. If schools had a responsibility going forward, imagine the difference this would make – a real motivation for early intervention and ensuring quality AP provision if exclusion is required. Best practice can be observed in Cambridgeshire – where schools have set-up successful partnerships to scale up Alternative Provision and provide economies of scale. In 2015/16 the exclusion rate for Cambridgeshire was 0! This model has been proven successful by the DfE themselves. Between 2011 – 2014 a series of pilots commenced involving 11 local authorities delegating funding and responsibility of excluded pupils to the schools themselves. The results of the pilots realised improved outcomes for pupils. AP – and this figure is increasing. Even when Schools commission AP themselves, the 2016 Ofsted report into Alternative Provision found that under a third of Schools embark on any systematic review of the education provided. AP needs to be viewed not as a permanent silo, but as a short-term intervention, with the aim of pupils, where possible, returning to main stream education. For example, this has been achieved in the majority of cases at the Red Balloon Learner Centre Group, TBAP Intervention Centres and The Family School, London. In a system that requires rigour and oversight we are seeing youngsters being failed – through a lack of transparency, accountability and silo-based thinking. Only a systematic change, facing up to the weaknesses of the system and embracing the best practice that exists will help some of the most vulnerable youngsters in our society. 1. Proper Reporting: Schools must provide greater detail of why a pupil is being excluded and what support they require. ‘Other’ will no longer be an option. 2. Schools maintain responsibility: That schools maintain educational responsibility for excluded children with a path back to mainstream education where possible. 3. AP Framework: That the DfE establishes a framework for how a model AP should operate with monitoring structures like mainstream education. 4. AP Support: DfE Implements a strategy to grow capacity, share best practice and improve standards (especially in poor performing Local Authority areas). 5. Home Education: That funding is provided to ensure the child has real education provision with a pathway back to mainstream schooling as an option to parents. 6. Independent Review Panel (IRP): The Education Act 2010 to be amended to allow the IRP to reinstate pupils. 7. Teacher Training: DfE to enhance and increase level of training and support, so that schools are better equipped to implement early intervention and when needed, commissioning effective Alternative Provision. 8. Exclusion rates: That Ofsted monitor schools exempt from inspection with high exclusion rates and/or off-rolling. Investigating where needed and Inspection as a reserve option. It is crucial that we properly fund our schools to support our next generation. During the election their was clear concern raised over the level of per pupil funding. So it is welcome news that the Government is protecting the core schools budget and are giving more money to schools. 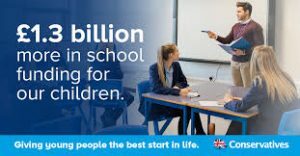 The schools budget increased by three per cent in real terms between 2010-11 and 2014-15; and is at its highest level on record this year at over £40 billion. With an additional £1.3 billion over the next two years – meaning funding will be £2.6 billion higher in 2019-20. This will mean no reduction in per pupil funding. But money alone is not enough, the standard of education at our schools must be strong. There are 1.8 million more pupils being taught in good or outstanding schools since 2010. The number has increased from 4.8 million in 2010 to 6.6 million in November 2016.
give schools a cash increase. headteachers, who know their pupils best, have more power over their curriculum, staffing and budgets. There are 5,889 more academies and 344 more free schools than in May 2010. This raft of measures means that we can have confidence, whilst not being complacent, that school education is going in the right direction. Delighted to report that today I passed the first year of my Postgraduate Masters in Law (LPC LLM) studies. 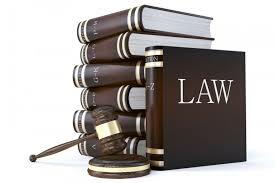 Which has included; Criminal Law, Civil Litigation, Employment Law, Property Law and Solicitors Accounts. This follows on from being the first person in my family to go to University, successfully securing in 2015 a Bachelor in Laws (LLB) undergraduate degree at Anglia Ruskin University in Cambridge. It has opened up a whole new world to be and taking the next step on the path with the University of Westminster has been an exciting one in starting the second qualification. 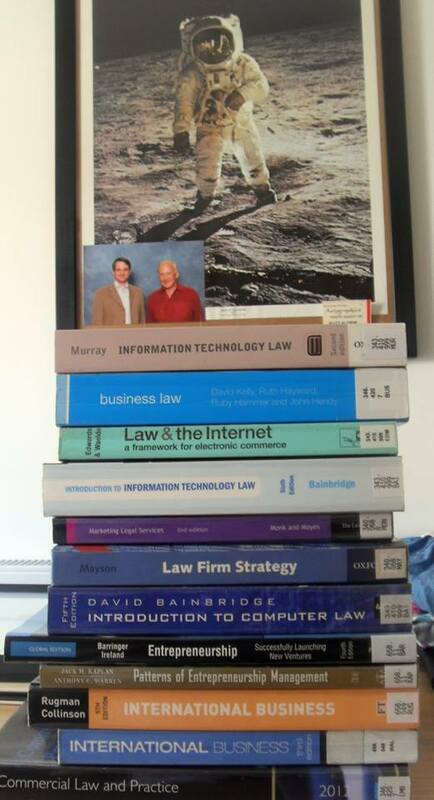 I will enjoy the break, ahead of recommencing the final year of the Masters in Law in September! 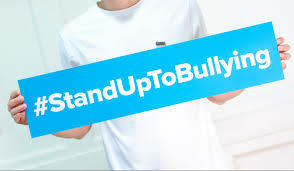 Today is National Stand Up To Bullying Day. 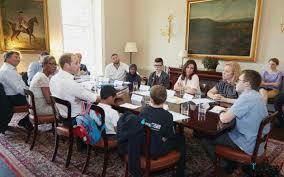 This has been launched by The Diana Award organisation. Their focus is that the campaign is an opportunity to help change behaviour and attitude by educating the public about behaviour. The Duke of Cambridge has urged the country to “stand up, not stand by” to combat bullying, which has become “unrelenting” because of social media. Bullying is an issue which affects people from all walks of life and can happen at any point. Research confirms the long-lasting and damaging outcomes for the individual being bullied including prolonged absenteeism from school. The NatCen study commissioned by Red Balloon showed that 16,000 children are outside education because of this. Bullying can have long lasting effects as well. The King’s College Institute of Psychiatry commissioned a substantial study of over 7,700 people, who were born in 1958, who were bullied at 7 or 11 years old. The study then followed up with the participants until they were 50 years old. 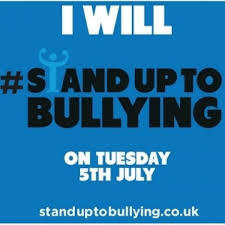 Stand Up to Bullying Day is a campaign that focuses on childhood bullying as well as bullying in the wider community. We are encouraging the nation to take a stand against bullying and demonstrate everyone has a role to play in tackling it. Together, as a society this is an issue we can solve. Delighted to report that today I completed the first year of my Postgraduate Masters in Law (LPC LLM) exam and assignments this week. So far this has been an amazing journey, being the first person in my family to go to University, successfully securing a Bachelor in Laws (LLB) undergraduate degree at Anglia Ruskin University in Cambridge. I will enjoy the break over the next few months, ahead of recommencing the final year of the Masters in Law. This week is Anti Bullying Week 2015. The need for action has never been more urgent. When you consider that the ‘Good Childhood Report’ by The Children’s Society reported that children in England experienced the highest levels of emotional bullying out of the 15 countries surveyed. With those that had been bullied four or more times in the last three months were six times more likely to have low self esteem than those that had not. The myth that ‘bullying makes you stronger’ is just that. Increasingly anti-bullying organisations are combining their efforts to ensure the best framework is in place in schools. This includes the All Party Parliamentary Inquiry into school bullying, which successfully ensured amendments in the Children and Family Bill to give greater recognition to bullying in schools. Debates have also taken place in both houses. 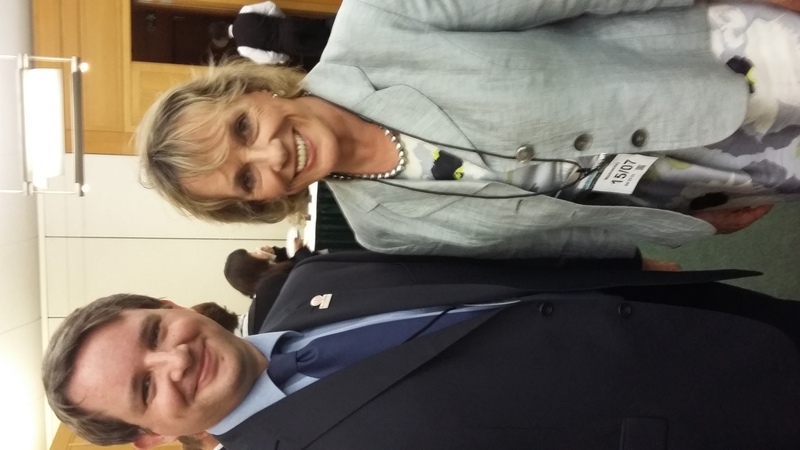 Pictured right with Dame Esther Rantzen DBE. The effects of bullying leave deep emotional scars often into adulthood. King’s College Institute of Psychiatry commissioned a substantial study of over 7,700 people, who were born in 1958, who were bullied at 7 or 11 years old. The study then followed up with the participants until they were 50 years old. The study found that the impact of bullying is still visible up to mid-life, four decades after people were bullied. Symptoms included depression, anxiety and a greater likelihood to have suicidal thoughts than those who had not been bullied. In this country there is a serious injustice that is taken place now, in 2015. Currently a child excluded for aggressive and persistent bullying may be transferred to alternative provision such as a pupil referral unit at a cost of between £16 and 23K per year. However, if a child subjected to bullying behaviour – the victim – becomes school phobic there is little or no alternative provision available or offered. They leave school and receive little or no support becoming more and more depressed with a bleak academic future. How can this be right? 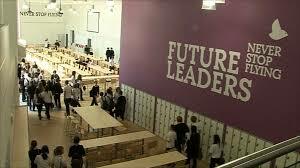 For a moment just imagine 750 secondary school classrooms empty week in, week out, all year round. Could you imagine the outcry, the headlines? Let me explain; there are over 16,000 between the ages of 11 and 15 missing education in England because of severe bullying (NatCen Report 2011). This varies from name calling to physical attacks to cyber bullying and many more besides. And the figure of 16,000 is likely to be an underestimate, as many local authorities do not record the reason for a parent withdrawing their child from school. So 16,000 children translates into 750 classrooms. Can you imagine the lost potential? But because the numbers are spread across all schools no one notices. You may ask how can it be possible for so many children to leave education? Usually this happens as a last resort. When the situation deteriorates (with the child no longer attending school due to becoming school phobic, and parents who may be threatened with being taken to court for allowing their child to truant) the worn down parents agree for their child to be managed off the school role and outside the formal education framework. The approach required must be twofold. First, to put in place the measures needed to actively reduce bullying in schools. When the ‘Good Childhood report’ estimates that half of children experience some form of bullying and over a third on the receiving end of physical bullying in the last month, we owe it to the next generation to do something. Second is to ensure that in the worst case scenario where a child self excludes that there is a safety net for children who can no longer attend mainstream education, with the aim of returning them to mainstream education once fully recovered. Wishful thinking? The charity Red Balloon Learner Centre Group have a record of 95 per cent of severely bullied children who stay with them longer than six weeks returning to mainstream education and leading productive lives. Indeed this year RB-Norwich was deemed ‘Outstanding’ by Ofsted. Pictured with Dr Carrie Herbert MBE, President of the charity. The parallel that I would draw is MRSA. Hospitals have made real strides in reducing infection rates, but in the worst case scenario ensure that the patient receives the treatment required. Why cannot the same principle be applied to bullied children? Law Degree – The ayes have it, the ayes have it! June 30, 2015 James Hockney Education Comments Off on Law Degree – The ayes have it, the ayes have it! After three years that seemed to have flown by, I can now say that I have passed my Law Degree with honours. Much of my studies took place in the Lord Ashcroft Building (pictured right). Before the General Election I had the pleasure of meeting Lord Ashcroft at an ARU talk. journey I have made so many great new friends which has greatly added to the experience. One of the major reasons that led to me undertaking the Degree was the removal of Labour’s upfront tuition fees. My family have been a great support – as the first in my family to go to University. I will now enjoy some freedom away from being buried under law books whilst staring at a computer screen (which has been a feature of the last few months especially!) One of the proudest moments was completing my 10,000 word dissertation on human rights. Whatever path I now follow; the skills, knowledge and experience that I have garnered will put to good use! 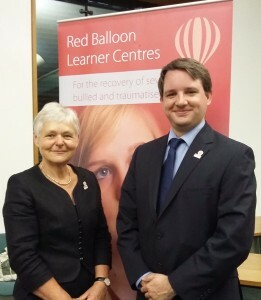 I was delighted to visit the Red Balloon Learner Centre in Braintree today. For those that do not know Red Balloon; it is a charity founded by Dr Carrie Herbert MBE to help recover bullied children that can no longer attend school. Currently the charity has Learner Centres in London, Reading, Norwich, Cambridge and Braintree, They also provide ‘Red Balloon of the Air’ which is an on-line environment for those areas not covered by a Red Balloon or where there is not a full physical Learner Centre. What struck me about attending is how young people can be helped back into mainstream education. Indeed RB over the last 18 years has seen 95% of their students going back to School. It always amazes me how little support the 16,000 (this is a conservative figure with a small c) children out of education receive. This is why I have drafted a ‘Charter for bullied children‘ which should be implemented nationally. It was recently Anti-Bullying Week. We face a serious issue of social justice in the UK where the excluded bully attends alternative provision, in these cases in the form of a Pupil Referral Unit (with £16k+ annual funding), yet all too often the self-excluding bullied child – the victim – has no such provision and receives little or no support. There are at least 16,000 children between the ages of 11 and 15 missing education in England because they have been severely bullied. This figure is likely to be an underestimate owing to the way in which local authorities (LAs) record their data. In fact many LAs do not even record the reason for a child withdrawing from school. Children self exclude for fear of further physical attacks, ostracism, humiliation, cyber messages, website exposés and other forms of mental and physical bullying. They are too frightened to attend. If schools do offer support for self-excluding students who have been bullied they generally seek the cheapest way of meeting education inspection criteria for self-excluding students (for example, having work sent home, having a teacher assistant available to support or accessing the curriculum online). In some cases such measures work satisfactorily. Bullied children usually self-exclude from school as a last resort. After a few weeks at home, isolated from peers and with parents who may be threatened with being taken to court for allowing their child to truant, the situation deteriorates further. Many children, as a consequence of the relentless bullying, develop conditions such as eating disorders, self-harm, depression, panic attacks and agoraphobia. (1) Special educational needs status should be granted to severely bullied children too traumatised to attend school. Government should give severely bullied children incapable of attending school special educational needs (SEN) status, alongside other supported groups (Aspergers, autistic, ADHD). (2) Training for school staff and whole school programmes to tackle bullying. Government should introduce whole school programmes where students are central to implementation. There are many pilot schemes in which this has been proven to work. Bullying is anti-social behaviour occurring mostly between students – so students need to be involved in its elimination. Schools need policies that are consistent, usable and accessible, supported by named anti-bullying Coordinators, parent awareness programmes, support groups and an effective PSHE programme. (3) The educational needs of self-excluding bullied children must be met.For this to happen, each LA must name an officer with responsibility for ensuring either that all alternative provision is of good quality, or that students who have difficulties in accessing mainstream school are provided for. That officer must intervene when provision is inadequate and have the power to direct schools to make alternative provision if it appears necessary. The quality of the work of that person (measured by the quality of the programmes provided) must then be reported upon within Ofsted’s assessment of the LA’s work. This would be an interim measure with the aim that every child, when ready, would return to a mainstream school. Already the Red Balloon Learner Centre group has a record of 95 per cent of severely bullied children returning to mainstream education. (4) Alternative provision must be monitored.LA officers must have a responsibility to ensure that any alternative provision offered to a severely bullied self-excluding child be of good quality. If a parent/carer has concerns about this provision and has made a formal complaint, this and the outcome must be recorded in a register. Ofsted should examine this register. (5) Each LA and school must make it clear to parents/carers how the education of children self-excluding from school due to bullying is to be funded. The funding might operate only for a set time period (one year, say) at the end of which teachers from the previous school, the LA, parents, alternative provider staff and the child assess the likelihood of a successful re-integration to a mainstream school. If another year of alternative provision is required then this is negotiated at the end of the first year of such provision. Efforts must be made to prevent schools and LA’s from claiming the other is responsible for alternative provision funding and then using the subsequent delay caused by debate to circumvent responsibilities. (6) The DfE needs to state its policy on distance learning.The Department for Education must state its policy on distance learning, particularly with respect to alternative provision. It also needs to say what it seeks from providers of distance education. How children out of school in remote rural areas should be supported requires an answer. Making these changes would go a long way towards helping and supporting the victims of bullying.